Mr. Dake was born on July 28, 1839 in Hinkley, Ohio. Prior to moving to Colorado, he lived in several places. He moved to Iowa and married Nancy Talbot in 1859. When the Civil War began, Charles enlisted in Company G, Twenty-ninth Iowa Infantry. By the close of the war, he was a second lieutenant and had fought bravely in battle. He was paid in Civil War Script. Later, he was an elected official in Iowa before he and his family moved to Nebraska. Charles ran a bank and stage line that ran between Nebraska and South Dakota. 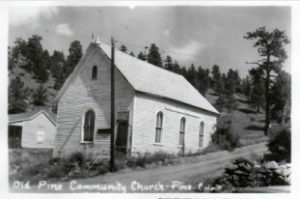 Charles and his family moved to Denver in 1880. 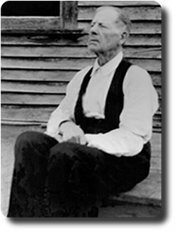 Mr. Dake used his Civil War Script to purchase the land of what is now Pine Grove. He developed the town as a resort destination primarily for people from the Denver area to access by the narrow gauge train. 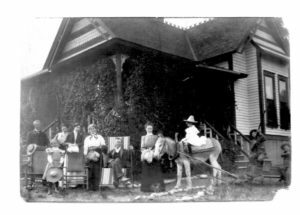 He built homes, commercial buildings and the schoolhouse, ran the mercantile store, was the postmaster, and established the Pine Grove Cemetery. 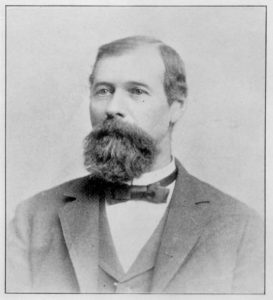 Charles Dake contributed politically and culturally to Jefferson County and the State of Colorado for the rest of his life. He was elected to the 9th General Assembly as a Representative of Jefferson County. He authored the state game laws that are still in use in Colorado. Charles Dake was inducted into the Jefferson County Historical Hall of Fame as Historical Person of the Year in 2007. The Pine-Elk Creek Improvement Association recommended Mr. Dake for the honor and provided the necessary documentation for his consideration. PECIA held a reception in honor of this induction and decendants of Mr. Dake were in attendance.